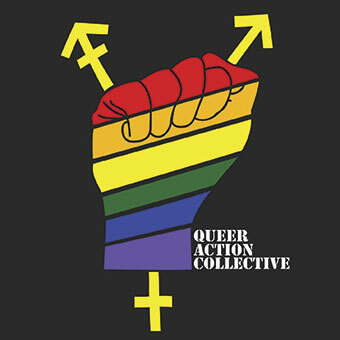 The USYD Queer Action Collective (QuAC) is a politically active collective which runs campaigns against all kinds of oppression related to the discrimination of LGBTQ+ people. We recognise the history of radical resistance which runs through the history of Australia as invasion defines it and aspire to be another thread in the vast tapestry of the oppressed and exploited joining one another to reclaim what has been taken. Previously the collective has engaged with campaigns such as the Safe Schools program, the Manus refugee crisis and campaigns against sexual assault. The collective plans to take action around ongoing discrimination against LGBTQ+ people at universities, rampant transphobia and fascists the whole wide world around. Our aims are to continue a safe, politically engaged collective for queer students at USYD, present and future. We hold weekly meetings during which we collectively decide how we can best operate to support our comrades and achieve our own goals.